Apologies, once again we have been so busy enjoying ourselves we have gotten behind with the blog! We are in Melbourne for two weeks so we will update you from time to time rather than hitting you with one long report. We were last in Melbourne about 10 years ago and really enjoyed our time here so, as we are now halfway through our trip, and have started heading back towards the UK this seemed like a good place to take a break from moving on every few days. 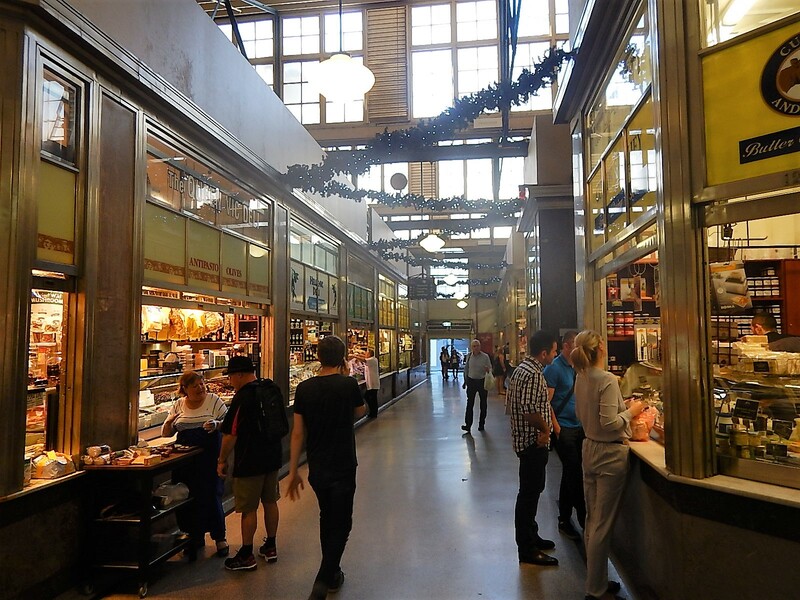 We are staying in a studio apartment near to the city centre, in particular we are near Victoria Market, a fantastic market similar to the Boqueria Market we visited in Barcelona in April. 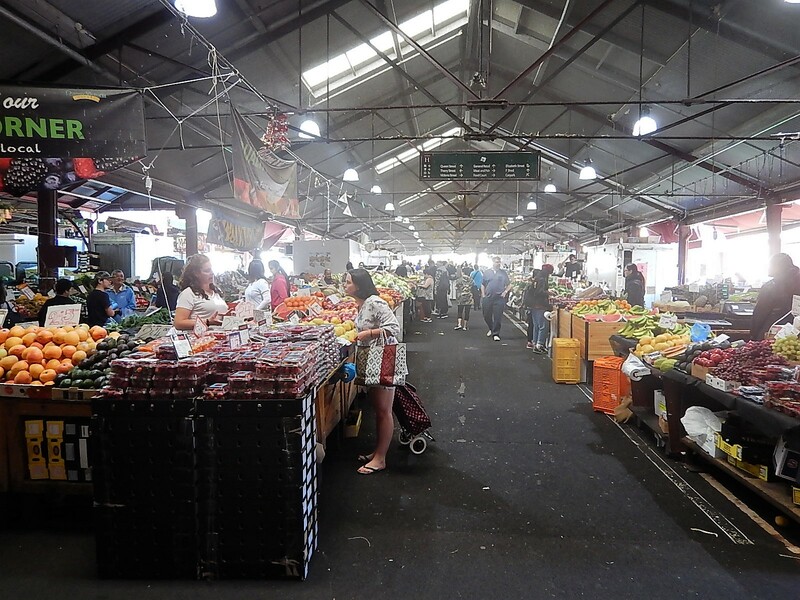 After our earthquake experiences in Christchurch and our flight to Melbourne we were very happy to spend a quiet day reacquainting ourselves with the city; we went out for breakfast and had a look around the market to get our bearings. Then we caught a tram to Federation Square, home of the Melbourne Visitors Centre. Melbourne has a very good tram system and they are all free in the city so it is really easy to hop on and off to get around town. At the Visitor Centre we picked up some maps outlining self-guided walks through the city, we also found out about a free guided walk led by volunteer city ‘greeters’ so we signed up for one of those on Wednesday morning. We stopped on the way back to the apartment to pick up some provisions so we could eat in, particularly for breakfast and then headed back ‘home’. On Wednesday morning we reported to the Visitor Centre at 9.30 for our tour and joined a group of five people being led by long-time Melbourne resident John; after briefly explaining the origins of Melbourne John told us that, as it is easy to walk around Melbourne and see the sights on your own his walk would take us a bit off the beaten track and into some of the more interesting buildings, he was certainly true to his word. We set of across Federation Square with its amazing asymmetrical buildings and went into the Ian Potter Centre, part of the National Gallery of Victoria; John led us through a lovely auditorium where groups of Victoria school children were preparing for a music competition, the auditorium was mainly glass and steel and had a great view across the river and over to the gardens on the other bank. Upstairs there was an exhibition of modern aboriginal art which we spent a few minutes looking around, admission is free so we can go back for a longer look later. From there John led us across town weaving through a variety of lanes and arcades which we had never seen. There are lot of little lanes which run between streets in the city grid layout, in the past they have been neglected as dingy service alleys and places to store bins, now there is an ongoing effort to reclaim them, some offer clusters of pavement café’s and restaurants, others have been taken on by local artist and have become vibrant street galleries. We also visited some historic buildings, the old stock exchange which was built to look like a European cathedral and is now protected inside the modern HQ of a bank. 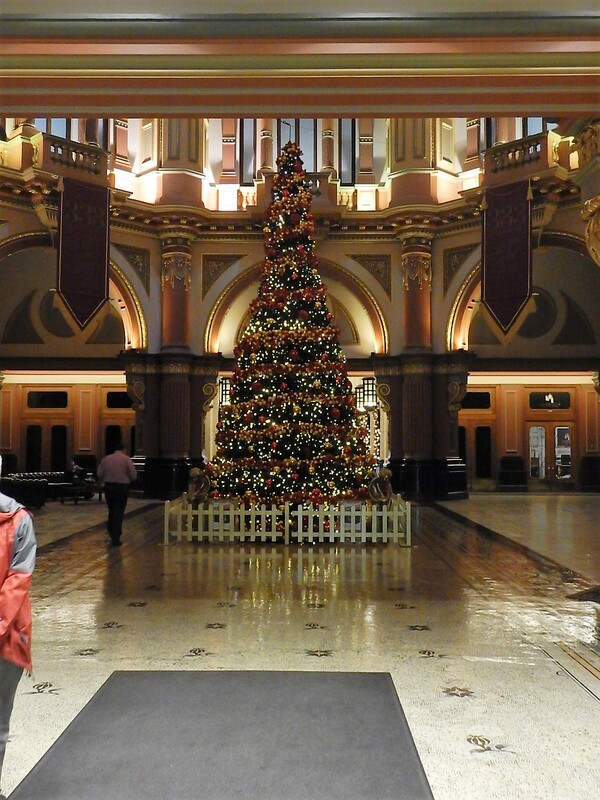 We went to another banking building which was built to service the gold rush in the 1850’s, it is an office building now but the old banking hall still exists as the foyer with an amazing domed ceiling decorated in gold leaf. When we visited the centre was dominated by a huge, beautiful Christmas tree. The walk carried on to an art deco building which houses Melbourne’s smallest café, The Switchboard, there is a counter on one side of a public corridor and opposite a small room with one bench which just about fits 6 people, it was very small but the coffee and Portuguese custard tarts were excellent. Eventually, after over three hours we ended up at the Melbourne Public Library where John took us in to the galleried reading room and pointed to the lifts which took us up to the top of the dome to look down on the readers below. It was an excellent tour and we were so impressed that it was free, it gave us a valuable insight into this city and lots of ideas for things to do while we are here. Victoria Market doesn’t operate on Wednesdays so we hadn’t been able to pick up anything for dinner, however Wednesday night was the first night of the weekly summer night market on the same site, we went to have a look and discovered a huge global street food market selling every kind of food you could imagine (paella seemed particularly popular). We decided on an Ethiopian sampler plate followed by some Italian hot donuts and washed down by a limoncello and pair cider crushed ice cocktail! Thursday was domestic chores day! We caught up with our washing (oh joy, we have a washing machine in the apartment) sorted out the paperwork for our upcoming tour of Australia and both went to the hairdressers – mine is a bit dark, Mark’s is a bit short but we both look much tidier than we did. 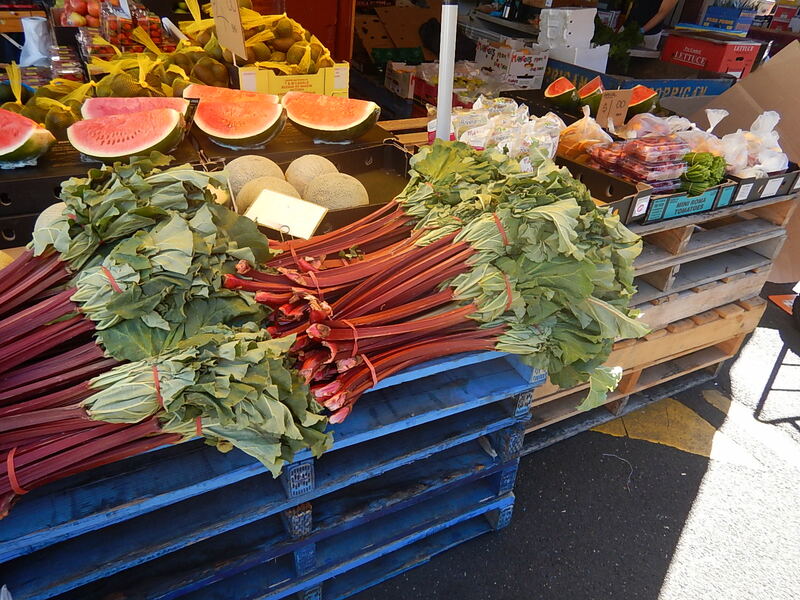 We also went to the market and spent a blissful hour buying fruit, salad, cheese, bread and wine to keep us going for a few days. On Friday, we picked one of the maps we had collected from the tourist centre and set out to explore some of the parks and gardens south of the river. We took a tram to Flinders Street, crossed over the river and then walked a 6.5km route that took us passed Government House; up to the war memorial which has wonderful views from the terraces at the top; through the botanical gardens and back along the river passing the Melbourne Cricket Ground and Rod Laver Arena on the opposite bank. It was a great way to see another aspect of the city, particularly on a sunny late spring day.